SSHA i San Sebastian, Spania: Bestill nå! 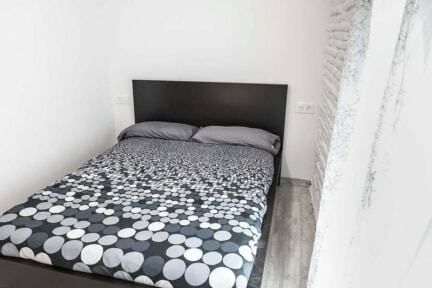 We have 1 studio apartment with private bath and kitchen, 1 room with double bed, private kitchen and a shared bathroom. You can also add an extra bed just in case you need it. We have 1 bedroom with a king-size bed and a shared bathroom. There is another room with a special bunk bed for 2 people with a small private kitchen. 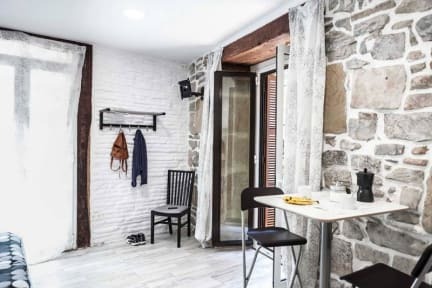 Our property features diferent kind of rooms: some of them with private kitchen and bathroom, others wiht private kitchen and shared bathroom, othes like a Pension only room with shared bathroom . in all Free WiFi and Plasma TV. We have amenities as an elevator, wheelchair accesible, luggage storage, bicycle parking and you also have the option to hire one! Our staff is very friendly and they will help you with all the thing you can visit in San Sebastian, they will give you city maps for free! We also have tea and coffee making facilities. The property has 3 balconies facing the most emblematic street Narrika in the Old Town. SSHA is located very close to Old Town where you will find museums, the party area and many restaurants and tapas bars as well. Only 10 minutes walking from the bus and train stations. Between both main beaches, to 2 minute walking to La Concha beach and Zurriola beach (surfers one). The hostel is clean and tidy.